Accuity, the leading provider of financial crime compliance, payments and counterparty know-your-customer (KYC) solutions, announced today that it has been recognised by Chartis Research as a category leader in the RiskTech Quadrant® for watchlist monitoring solutions. The watchlist monitoring solutions category features in Chartis’ 2017 Financial Crime Risk Management update report. The Chartis report examines financial crime risk management systems across four areas: enterprise fraud, AML and transaction monitoring, KYC and client on-boarding, and watchlist monitoring, and covers key trends and challenges as well as the competitive landscape. 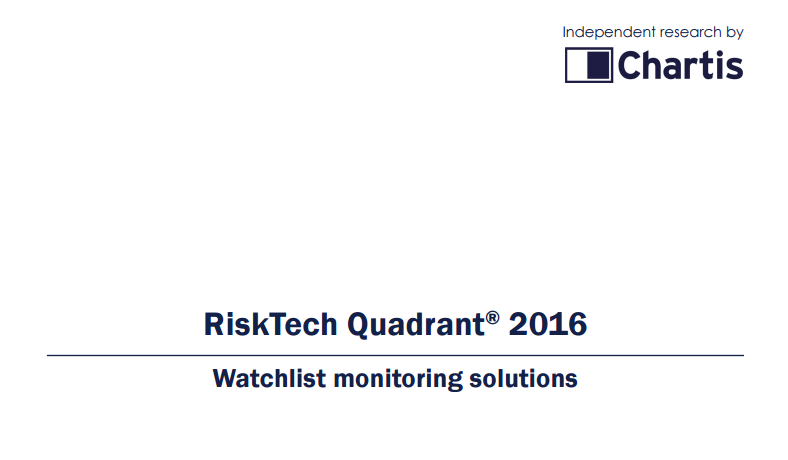 For the RiskTech Quadrant® for watchlist monitoring solutions, Chartis analyses the industry to rate firms based on the completeness of their offering and their market potential. Accuity’s position on the 2017 RiskTech Quadrant® for watchlist monitoring solutions reflects its success in combining data and technology within the Fircosoft portfolio of financial crime compliance screening solutions to give customers a clearer picture of risk. Accuity began integrating Fircosoft, a world leader in watchlist filtering software, when it was acquired by RELX in 2014, and the Fircosoft solutions have added an essential dimension to Accuity’s compliance portfolio, helping the business deliver exceptional risk and regulatory protection to customers around the globe. Accuity’s placement in the RiskTech Quadrant® for watchlist monitoring solutions also reflects its strong commitment to investing in market-driven innovation. 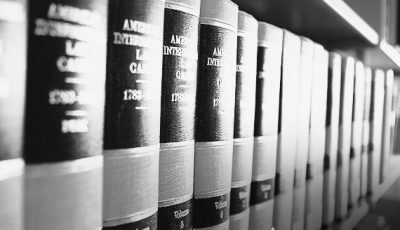 At a time when financial institutions are increasingly looking for new technologies to improve customer experience and manage compliance risks, Accuity has evolved its RegTech offering, incorporating machine learning into its false positive reduction capability and successfully integrating its financial crime screening solutions within Corda – R3’s enterprise-grade distributed ledger technology (DLT) platform. Hugh Jones, President and CEO, Accuity, said: “our clients are faced with a balancing act; on the one hand they are required to meet proliferating levels of regulation and safeguard against risk, and on the other, they are tasked with streamlining their operations and reducing the burden and cost of compliance for their organisations. “At Accuity, we understand both sides of this challenge and are continually striving to enhance our RegTech offering, by embracing new technologies, such as machine learning and DLT, so our clients can achieve both efficiency and rigour in financial crime compliance. Chartis is solely focused on risk and compliance technology, which gives it a significant advantage over generic market analysts. The firm has brought together a leading team of analysts and advisors from the risk management and financial services industries. This team has hands-on experience of implementing and developing risk management systems and programs for Fortune 500 companies and leading consulting houses. Accuity has been recognised by Chartis Research as a category leader in the RiskTech Quadrant® for watchlist monitoring solutions . The watchlist monitoring solutions category features in Chartis’ 2017 Financial Crime Risk Management update report. Watchlist monitoring solutions Accuity FircoSoft has been recognised as the category leader in the Watchlist Monitoring Solutions RiskTech Quadrant® of the Chartis 2016 Financial Crime Risk Management report. 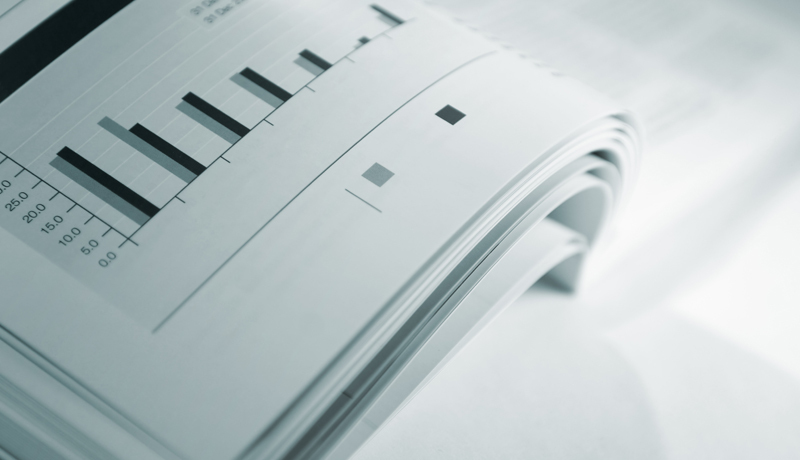 You can also read our press release to learn more about our position in the Chartis 2016 Financial Crime Risk Management report.